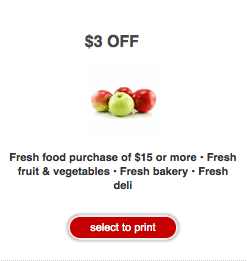 The awesome $3/$15 produce, deli and/or bakery Target coupon is back! This is a great one to use at Price Chopper as a competitor coupon. Valid thru 11/7.